Do you love someone in recovery? Do you support people in recovery? Then wear your recovery ally with pride! Every year, OCAAR hosts the ONLY Statewide Rally for Recovery. This year, we will be pre-selling these t shirts to help OCAAR put on this amazing event! These limited edition shirts will not be sold for long! 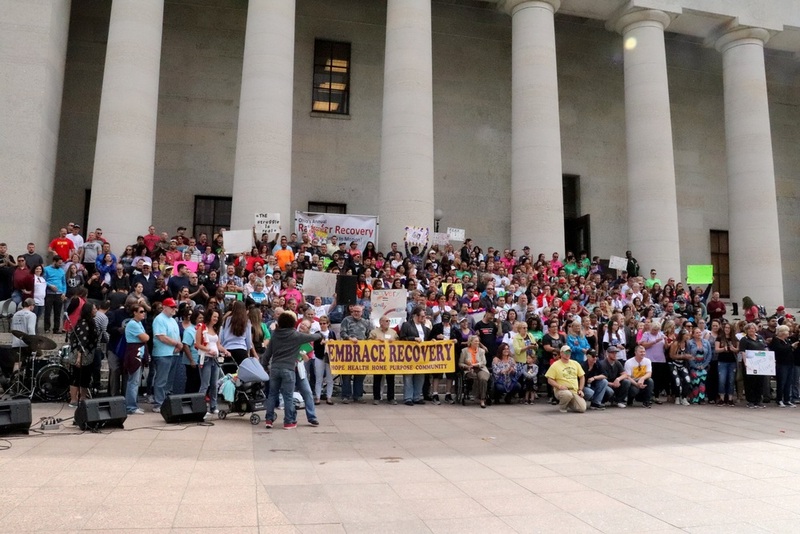 Each year, The Ohio Citizen Advocates for Addiction Recovery hosts the STATEWIDE Rally for Recovery! This year, the event will be held at Huntington Park on September 29th. It will be a chance for thousands of Ohioans to come together to celebrate recovery and those in recovery from a substance use disorder. There will be musical performances, national speakers, and even a SURPRISE GUEST! Buying a t-shirt today will help OCAAR to put on this amazing event and to show your support for those in Recovery! Check out last year's rally!